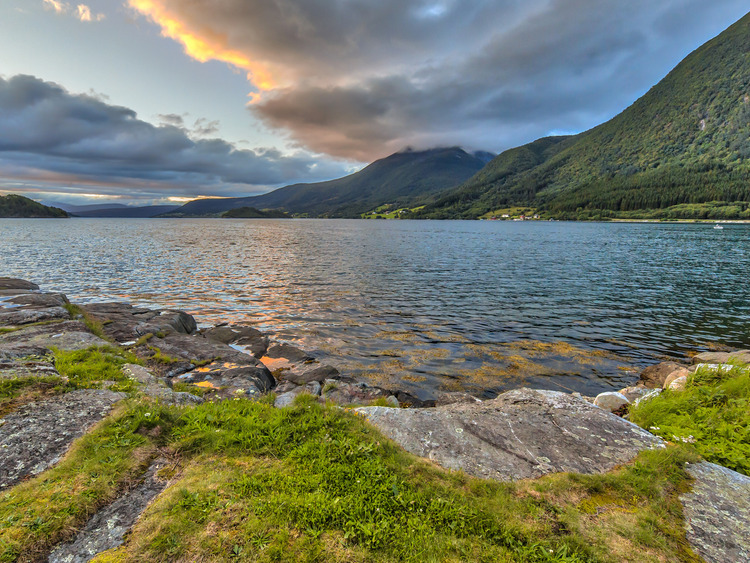 An unmissable train ride through the mountains, rivers and fjords in the Romsdal region, to discover the true essence of Norway and savour the wild, unspoiled Nature. Stop at the "Troll Wall"
Our excursion departs from Åndalsnes, a town situated in an excellent position on the Romsdalsfjord, the terminus of the Raumabanen railway line which links the Romsdal region with eastern Norway and the capital, Oslo. The surrounding scenery with its huge, jagged peaks is spectacular. We travel by train, along the course of the River Rauma, whose abundant salmon has attracted many English fisherman for over a century, and we can admire Romsdalshorn Mountain (1,550 metres), the Trolltinden Mountains (approx. 1,800 metres) and further along, the so-called "Troll Wall". Travelling alongside the River Rauma, which starts from Lake Lesjaskog and forms several waterfalls on its course, we cross Kylling bridge (59 metres long and 76 metres high), which commands breathtaking views of the foaming river in the gorge below. The bridge is an imposing feat of engineering. It was built between 1913 and 1922 using only natural rocks that interlock perfectly. Over 50 metres separate the bridge and the bottom of the gorge. When we reach Bjorli station, 574 metres above sea level, we board the coach and travel through one of the most beautiful valleys in Norway with majestic mountains. We make a stop at the rock face known as "Troll Wall" (Trollveggen), first climbed by an Anglo-Norwegian 2 men-team in 1958. At 1,000 metres high, it is the tallest vertical rock face in Europe and is considered by mountaineers as the ultimate challenge. At the end of this final stage, we return to our embarkation point in Åndalsnes.